Sometimes the best way to gift fresh baking is to leave the baking to the recipient. The holidays are so busy and so filled with gatherings and food, it can be nice to give something that'll be fresh and fragrant when whoever you're giving it to has some time to really enjoy it ... which, let's face it, probably won't be until January. Here are a few simple ideas. Scones are delicious and simple to make, but they're best straight out of the oven (with lots and lots of butter!). 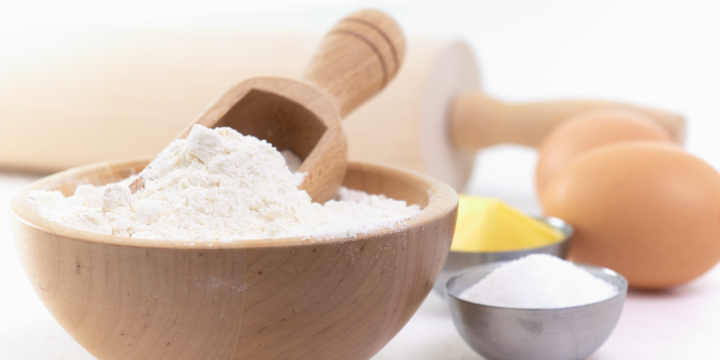 You can choose any scone recipe you like; just combine the dry ingredients in a jar and include a label with instructions on how to complete the recipe. This cherry oat scone recipe is super simple — and even includes a printable label for your jar. Remember, presentation is everything! Muffins are easy enough to make from scratch, but many people still buy muffin mix. The homemade ones are so much better, and a simple muffin mix makes a great gift for beginner bakers. This cinnamon spice muffin mix recipe has just the right holiday flavors. Include some gourmet tea or coffee for a perfect breakfast treat. If you enjoy making fresh bread, chances are just about anyone on your list will enjoy receiving it. If you deliver an unbaked loaf, you'll also be giving the gift of the smell of fresh-baked bread, which is almost as good as the taste. Here are instructions on how to freeze and thaw bread dough. Once you've got that down, you can make just about anything, from a simple white sandwich bread, to these adorable pumpkin dinner rolls to cinnamon buns. When you think holiday baking your probably think Christmas cookies. No one turns those down, but there are so many other options. Here are a few of my favorites. Every year, my mom makes a sweet, sticky, nut-studded popcorn mix called poppycock. No, I have no idea why it's called that, but it's delicious. There are many many variations of sweet popcorn. When packaged in a sealed bag or container, it keeps well for several weeks. I like this caramel almond version. Homemade granola makes a great gift. It's healthy, it's delicious, and it tastes way better than anything you'd get in the store. Plus, you can load in as many nuts, raisins, and other goodies as you want. This holiday granola recipe has all the right spices, and is beautifully packaged with a cinnamon stick. You could also whip up some homemade granola bars. They make a great, healthy treat for both kids and adults. 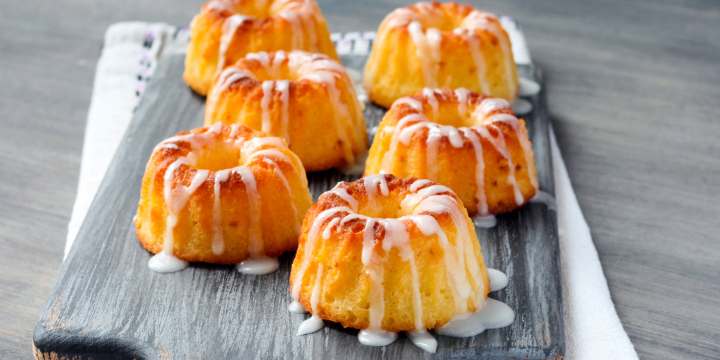 Bundt cakes are simple, delicious, and, because they're very moist, don't go stale as quickly as other cakes. That's especially true if you prick them with a fork and soak them with rum, brandy or some other liqueur of your choice. (You should totally do that, by the way.) Mini bundts are also cute and portion-controlled, which people seem to like. There are so many bundt recipes it's hard to know where to start, but I like the holiday flavor of these plum bundt cakes. You could also try cranberry orange. If you're really having trouble deciding, go with chocolate. Everyone likes chocolate. Truffles are sweet, delicious, adorable, and relatively easy to make. Plus, they always look amazing in a holiday candy box of some sort. You could try these unique pumpkin spice truffles, healthy, date-sweetened truffles, white chocolate strawberry truffles or, you know, go with chocolate. Biscotti were originally designed by the Romans as a portable, non-perishable food that could be carried by travelers. Recent recipes have gotten a lot more flavorful than those little rock cakes, but the results still keep well. Try this recipe for chai tea biscotti. Or, keep the flavors simple with this vanilla white chocolate version. And don't forget about chocolate. Christmas tends to revolve around sweet things, but it's definitely possible to have too much of a good thing here. Plus, not everyone likes sweets. Here are a few savory options to try. 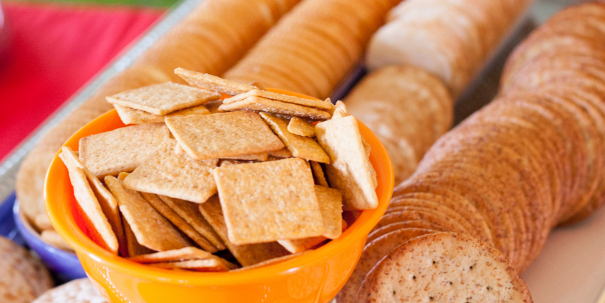 Cheese platters and dip trays are common at Christmas, so why not give out homemade crackers? This savory cracker sampler recipe provides a base recipe you can split into four different cracker varieties, which makes baking them simple. It'll also make you look like a super-star. Everyone loves breadsticks, especially if they come with a delicious, homemade dip. These slender Italian "grissini" make a beautiful and unique gift. 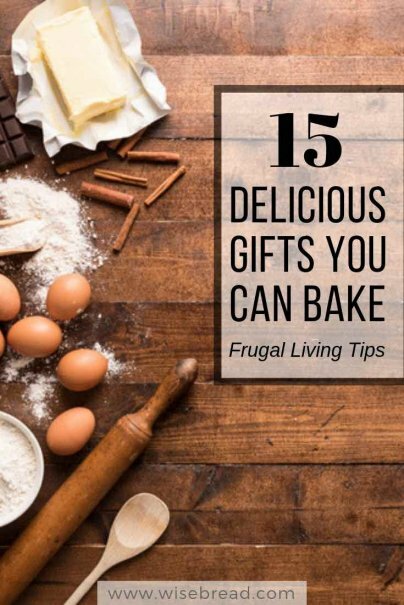 They're also pretty easy to make, especially if you whip up the dough in your bread machine. You can call it Chex mix if you want, but it's tastier when you make your own. You also get creative license. Try this spicy snack mix recipe, or mix things up by substituting your favorite cereals, nuts, and flavors. Some gifts just scream Christmas, which is exactly what makes them so lovable. Here are a few of my favorites. Yes, you can make Christmas cookies that look like ornaments, and even hang them right on the tree. That's assuming you don't have kids. Or a dog. At any rate, this simple sugar cookie recipe includes lots of photos of beautifully decorated cookies. Mine tend to be more ... uh ... rustic. I'll try not to hate you if yours are perfect. These simple, button-shaped sugar cookies can be stacked and threaded together by running a ribbon through their button-holes. They're sweet and cute as a, well, you know. Nothing signals the start of the holidays like the appearance of fruitcake ... or fruitcake bashing. But honestly, I don't know where all those hard feelings come from; homemade fruitcake tastes like holiday heaven. I like a classic fruitcake recipe with plenty of candied fruits and spices. If that isn't your thing, try a white fruit cake. It's a lot lighter, which might appeal to those who can't stomach a denser brick. I even found a recipe for a unique fruitcake that uses banana and dried fruits. It's specifically for those who don't like fruitcake. Give it a try! Here's one gift you can bake that your recipients can't eat. And sometimes during the holidays, that isn't such a bad thing. 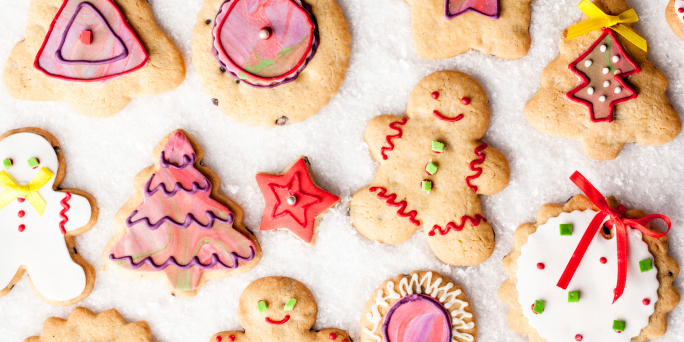 This salt dough recipe allows you to bake your own Christmas ornaments. If you put these together well and then paint and glaze them, they can last for years. Do you have a few home-baked gifts of your own? Share your favorite recipes in the comments!